It was a concert with a difference. The lighting was at 50 to 70 per cent of a regular concert setting; the sound was at 40%. But the melodic chimes of the handbells echoed on. And all of it was music to our ears! Featuring music from famous musicals such as "Beauty and the Beast" and "The Lion King", and celebrating the efforts of students around the country, the concert was put together by local music group Ministry of Bellz (MOB). The melodic chimes of the handbells. A delight to the ears. 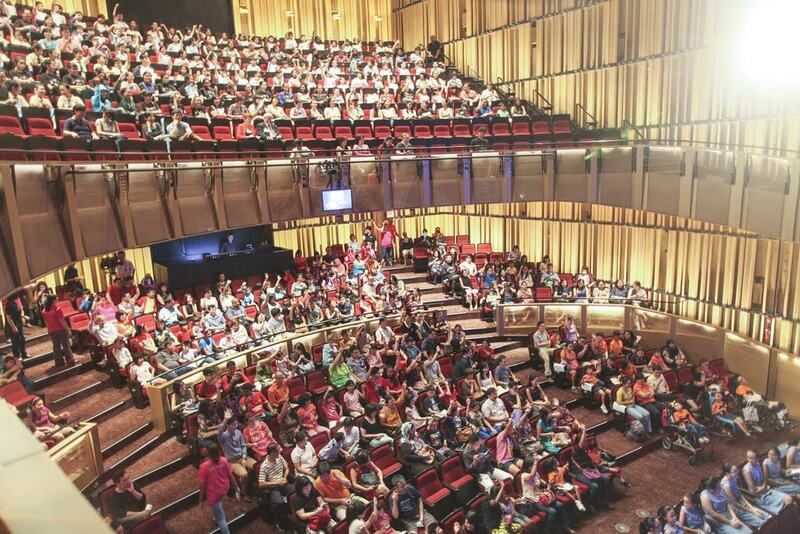 Creating a sensory-friendly environment to help children with special needs enjoy the arts. 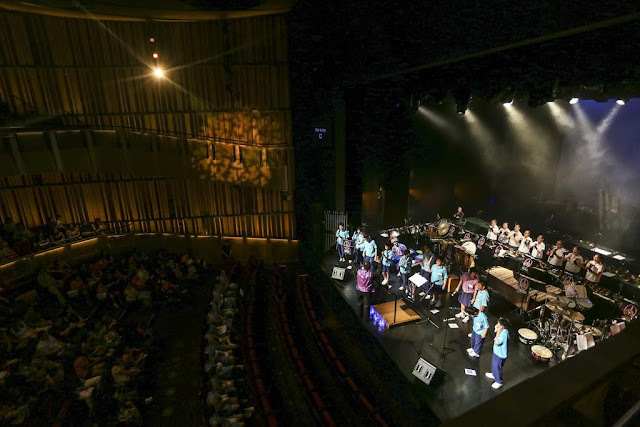 What was so special about this concert was that it was Singapore's first sensory-friendly concert; intended to help children with special needs appreciate theatre and the arts. 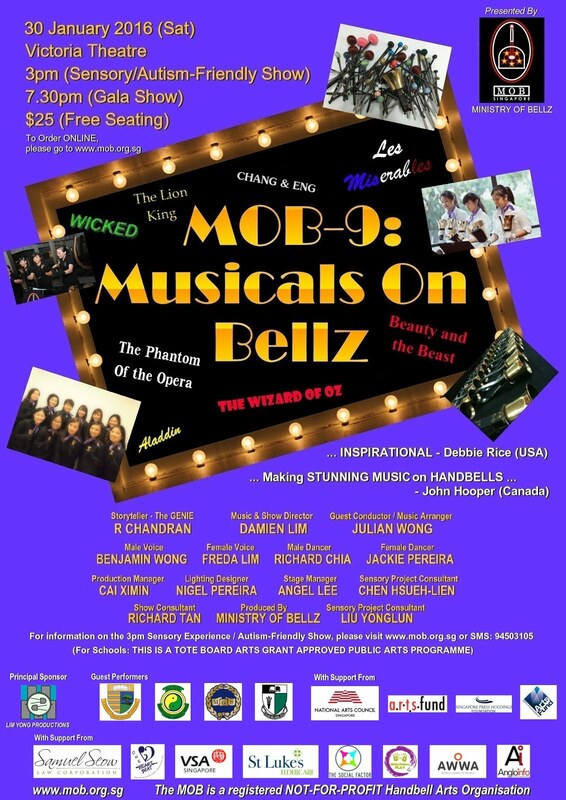 Damien Lim, Founder of MOB, wanted the show to be inclusive so that children with special needs could enjoy the concert. 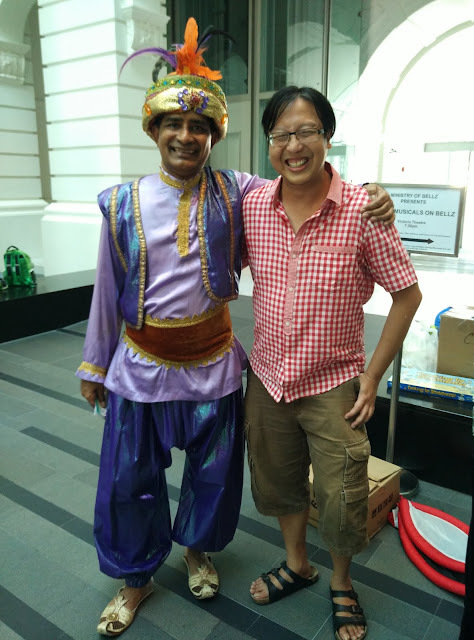 He worked with the National Arts Council and removed elements from the concert that could be potentially challenging for children with special needs - settings such as a dark concert hall or overly-loud acoustics. And, to help children anticipate what was going to happen next, the organisers displayed the song titles of the upcoming items. This was to help children who are anxious, and to prepare them to deal with uncertain incidents. The happy children in the audience. MOB gathered a strong team of volunteers to serve as ushers. And unlike other concerts where "disruptive" concert goers would be asked to leave, the ushers were instructed to provide assistant to any children who had difficulties in regulating their emotions. 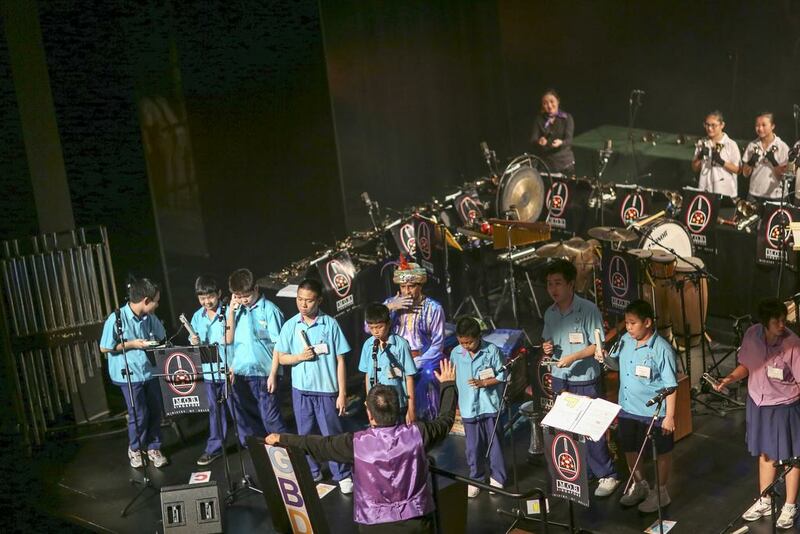 MOB also provided pre-concert activities, and space was set aside outside the theatre for a sensory space where children could go to when disregulated. 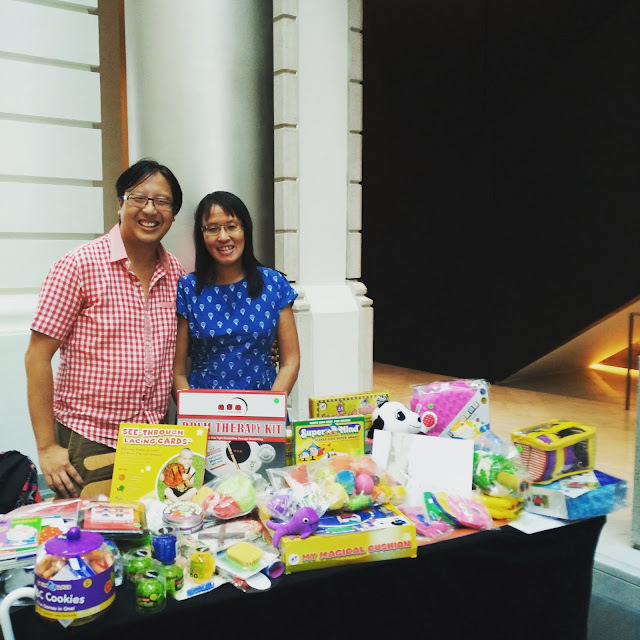 Our online store, Sensational Play, was pleased to support the concert with the equipment for the sensory space. We provided items such as peanut balls and sensory tactile balls, to help children get the required sensory input that would help them become more calm. Sensational Play also sponsored bendable toys for all the children in the concert. The toys, which served as fidgets, were intended to serve as stress toys, and children can manipulate them when they feel anxious or upset. Setting up our Sensational Play booth outside the show. As in all concerts, the proof of the pudding is in the eating; and judging from the happy faces in the audience, this writer believes that the experience was all worthwhile!